On July 20, 2016, Ted Suhl, a former head of a behavioral health company in Arkansas, was convicted by a federal jury on four counts of bribery. The prosecution was initiated and carried out by the United States Department of Justice and Suhl was found guilty of interstate travel in aid of bribery, federal funds bribery, and two counts of honesty services fraud. Suhl was sentenced to 7 years in prison, and immediately appealed the ruling. In March 2018, the United States Court of Appeals for the 8th Circuit affirmed the lower court’s ruling. The 8th Circuit rejected the argument made in Suhls’ appeal that the government had failed to prove that an actual agreement for money was paid in exchange for official acts. The Court rejected this argument claiming intent is all that is necessary for a bribery conviction. Suhl is now filing an appeal to the U.S. Supreme Court. The James Madison Center for Free Speech, a nonprofit founded by James Bopp Jr., filed a friend of the court brief asking of the Supreme Court to hear Suhl’s appeal. James Bopp joins us on this Teleforum to discuss the brief and the Ted Suhl Appeal. Operator: Welcome to The Federalist Society's Practice Group Podcast. The following podcast, hosted by The Federalist Society's Criminal Law & Procedure Practice Group, was recorded on Thursday, August 30, 2018 during a live teleforum conference call held exclusively for Federalist Society members. Wesley Hodges: Welcome to The Federalist Society's teleforum conference call. This afternoon our topic is an update on the Ted Suhl Litigation and is hosted by our Criminal Law & Procedure Practice Group. My name is Wesley Hodges, and I'm the Associate Director of Practice Groups at The Federalist Society. Today we are very fortunate to have with us Mr. James Bopp, Jr., who is General Counsel and Founder of the James Madison Center for Free Speech. Related to the subject today, his organization filed an amicus brief in the Suhl case. After our speaker gives his remarks today, we will move to an audience Q&A, so please keep in mind what questions you have for this case or for our speaker. Thank you very much for speaking with us today, Jim. The floor is yours. James Bopp, Jr.: Well, thank you very much, Wes, and thank you everyone who is on the call. I'm happy to discuss an interesting case which has an important issue that has been bedeviling our law, our criminal law, our campaign finance law, and fortunately, the Supreme Court can straighten out some problems if they would take the Suhl case. The Suhl case, of course, involves a conviction of an Arkansas man who was convicted of federal program bribery and also convicted of violating the criminal law prohibition regarding honest services. The defendant in that criminal case is a mental health treatment provider who provides services to juveniles through the Medicaid program. He was convicted of crimes under both of these statutes. The basic fact pattern was that Suhl, who was friends with the probation officer, who often referred clients to his treatment facilities, Suhl engaged him, this probation officer, in setting up meetings with the program administrator of the Medicaid program in Arkansas that of course involved issues -- that the Medicaid treatment program that Suhl owned and operated had various issues with. This probation officer was a friend of the administrator and, at Suhl's request, would set up meetings with him where Suhl would discuss various issues that involve the program and its application to his particular mental healthcare services that he was providing. Now, this probation officer required Suhl to pay him to set up a meeting. One of the examples was paying $2,000 to his church, the probation officer's church, that then paid the money to the probation officer for the services of setting up this meeting. Now, when he would meet with the administrator they would discuss, generally, issues related to the mental health program and Medicaid reimbursement and the issues surrounding that. Occasionally, he would point out specific problems that he would ask the administrator to look into. There was never a time when the administrator agreed to do anything other than to look into the problems or questions or concerns that were being raised. And so the most that you could say is that he met with him, and he agreed to hear his concerns and to, quote, "look into them," end of quote. Now, I think it's clear from this fact pattern that there would certainly be certain potential crimes. There would be the probation officer could very well be prosecuted for pay-to-play. There could be a statute about a gift to public officials that he had violated. And by the way, there was one payment made to the administrator as well. Again, not in exchange for any promise to do anything, but as a gift. And so, either giving the gift or receiving the gift, there could be a constitutional statute that would prohibit that. So there are ways to deal with this kind of situation. However, what the U.S. government decided to do was charge bribery. And the bribery provision and the honest services provision are materially the same here, and that is giving anything of value to influence a governmental official, i.e. the Arkansas Medicaid administrator, or to influence an official act. Now, influencing an official act, influencing an election, the use of the word influencing pops up in various contexts and have been dealt with for decades in these contexts, whether they be campaign finance or bribery or other criminal statutes. And, of course, that phrase has been viewed repeatedly as vague. What is it to give something of value to influence a public official or influence an election or influence an official act? Number one, of course anything of value's extremely broad and could readily include things that are specifically constitutionally protected. For instance, campaign contributes, writing op-eds, organizing volunteers for a candidate who's a public official, obviously are things of value to that candidate/public official. Furthermore, somebody could be doing those things with a general intent to influence that public official or candidate with respect to some indefinite, general thing about the future and how I will be favorably or unfavorably treated. So obviously those, for words, are extremely broad and encompass a wide variety of actions and activities. The result has been repeated narrowing constructions of these phrases. In the campaign finance area where we have for the purposes of influencing an election, the Supreme Court has held that with respect to communications, those words must be limited to words of expressly advocating the election or defeat of a clearly identified candidate; that by saying, "vote for a vote against," because since you're regulating First Amendment activity, you need a bright line and you need a communication that is unambiguously campaign related. And so narrowing it would meet those constitutional requirements. Here, we've had a series of cases, the most prominent of which are Sun-Diamond and then the recent Governor McDonnell case where the question of bribery and the use of these broad terms were interpreted and narrowly construed. First, with respect to the McDonnell case, the Court made it very clear that it just couldn't be an attempt to influence, that it had to be a quid pro quo exchange—that is the exchange of something of value in an unambiguous agreement that for that thing of value, the person would receive an official act. And the McDonnell case focused on the "what is an official act," and they said, well, setting up a meeting is not an official act, that it has to be the act of a sovereign signing a bill awarding a contract, something done in an official capacity that is an official act, not just meeting with a constituent to talk about problems or concerns. In other cases, particularly in the campaign finance area, you've seen in the recent cases of Citizens United and McCutcheon, both requiring a quid pro quo exchange in order for there to be corruption that can be used to limit, particularly contributions to candidates, and they have said that, again, there must be this unambiguous agreement where you are exchanging the contribution for a specific governmental act. Now here, the district court in giving the instructions to the jury failed to require that there be an explicit exchange and failed to require that a specific official act be required to be proven in order to be found guilty under the bribery charge. And then that was appealed to the Eighth Circuit where those two issues were raised, and again, the court basically distinguished McDonnell and some of the other cases and said well, under these statutes, we don’t think it is required that there be literally an exchange and that it has to be a specific or particular official act. It can't just be the prospect of favorable treatment in general in the future that you're trying to -- that you have the intent to gain. So of course that has brought us to the cert petition in the U.S. Supreme Court, and we filed an amicus brief urging the Court to take the case and to be explicit that in these federal criminal statutes just like in others, and furthermore as reflected in Citizens United and McCutcheon with respect to the compelling governmental interest of corruption, that the Court has held that it has to be quid pro quo. Well, these statutes need to be interpreted in exactly the same way. And we would have consistency in the law, and furthermore we would eliminate the vagueness and we would eliminate the overbreadth down to something that, honestly, a layperson would normally expect when they hear the word bribery that you've given somebody something of value in exchange for receiving something, and in this case an official act that benefited the person. That would put the criminal definitions under these statutes in accord with what is our normal understanding as laypeople and would avoid the very substantial overbreadth vagueness and impingement on First Amendment rights that this broad definition invites. Now, there is two other cases pending in the U.S. Supreme Court on petitions for cert that also involve this issue of quid pro quo corruption. And they're both campaign finance cases involving very low contribution limits. One set of limits in Austin, Texas, and second set of limits in the State of Montana. I'm involved in the Montana case, and there as I've mentioned, there's a compelling governmental interest in preventing corruption that can be utilized to support contribution limits. But the Supreme Court has ruled that corruption is just not some generality about something that makes you uncomfortable but is limited to quid pro quo exchanges. The very question of what that is and whether or not that's required in the civil case is also we know is required with respect to contribution limits. But the question there is well, what is it? Again, it's a definitional issue. So this is an issue that is bedeviling the courts. It is an issue where we see a tendency of government to use broad, general terms that can sweep in all sorts of protected activities, distort our democratic process, create barriers between constituents and public officials, and the Court really needs to reign this in. And we hope that they do it in Suhl case. We would hope that they take up one or more of the contribution limits cases and flesh this whole area out. Well, that's what I have to say about this issue, and I'm very pleased to answer any questions you all might have. Wesley Hodges: Thank you so much, Jim. Let's go ahead and move to audience questions. While we wait for any audience questions, Jim, I do want to ask you right off what do you think the prospect of this case being taken is, and when would we learn more about it? James Bopp, Jr.: Well, the case is set for the super conference on September the 24th. It would be very soon thereafter, even potentially the next Monday. Somewhere between the 24th and the next Monday that we would hear. The super conference involves all of the cert petitions or appeals and other motions that are pending before the Court since the Court adjourned at the end of June. And it involves obviously a lot of decisions by the Court. So certainly by the next Monday we would know what action, if any, has been taken by the Court with respect to that case. The Austin case will also be in the super conference. A response has been ordered by the Court to be filed by September 13th from the City of Austin. That will provide enough time for it to be conferenced on the 24th. The Lair response out of Montana by the State of Montana is due on Tuesday the 4th, and if that is filed, it will certainly be conferenced for September the 24th as well. One of the things about Supreme Court practice is that the most difficult thing is to get the Court to accept a case. I've had 14 cases decided on the merits by the Supreme Court, so I've been able to get a lot of cases there. I've won nine of them. But my record is not near as good of getting cases to the Court because it is extremely difficult to do that. There's a lot of considerations. The Suhl case comes just a few after McDonnell. So there has not been enough time to really have a lot of action in the lower courts regarding this issue post McDonnell. So as a result, this is one of the first ones after McDonnell to be appealed. It's certainly not unheard of that the Court takes cases because they think they are of sufficient importance that they would take it without a circuit split. But circuit splits certainly are very helpful in gaining the attention of the Court because they do view themselves, while not a court to correct errors, they do view themselves as a court that needs to ensure consistency in the law and circuit splits mean that we don’t have consistency in the law that they ought to fix. Now, the two contribution limits cases out of Austin and Montana, there has been an enormous amount of action in the lower courts regarding contribution limits. The Supreme Court in the past has upheld $1,000 limit in Missouri, also $1,000 limit in the federal system. But with respect to contribution limits under $1,000, which is Montana's and Austin's, there is almost every circuit, not quite every circuit, but almost every circuit has ruled one way or the other on limits under that number. And the United States Supreme Court itself struck down Vermont's low contribution limits under $1,000. So we've had a lot of action on that, and I'm not surprised that the Court asked for a response to the Austin petition because this is certainly an issue that one or more justices apparently—and I'm not surprised at this—are interested in. I think it's going to be difficult to get the Suhl up. That I thought it was of sufficient up that we should urge the Court to do that. Wesley Hodges: Thank you very much, Jim. Looks like we do have one question in the queue. Let's go ahead and move to our first caller. Caller 1: Yes, according to the definition of bribery that you are proposing, would that mean, for example, if someone has a case pending before a judge and he gives a large gift to the judge, but the judge doesn't guarantee that he will rule in favor of that person, that there was no bribery? James Bopp, Jr.: Yes. That there would be bribery under the statute. In other words, you could be giving a campaign contribution or you could be giving a gift. Assuming both of those are legal, then you couldn’t be prosecuted for doing it because they're illegal, but you could be prosecuted under the way the Eighth Circuit approved the definition of bribery, if you had a bribery statute that was applicable. In other words, it focuses on first giving something of value and secondly, what the donor, the gift maker's intent was. Even though it's not necessary under the interpretation of the bribery statute that we're dealing with here, it's not necessary that the recipient agree to anything, agree to do anything, either generally or specifically. So it's an intent crime, a purpose crime without an actual quid pro quo exchange, which the Court has regularly been requiring when these sorts of issues arise. So, yes, the answer to your question, yes, they could be convicted if this bribery statute was applicable. Caller 1: Isn't it kind of very common that someone being bribed wouldn't make an explicit quid pro quo agreement? It would be implicit. James Bopp, Jr.: Well, you've really got to distinguish between an attempt to influence and a quid pro quo exchange. And the question is is it constitutional to call it -- punish something as bribery when you're, quote, "just attempting to influence," end of quote, someone as opposed to actually having an agreement, which is a quid pro quo exchange. And the Supreme Court keeps saying that for there to be corruption or for there to be bribery under other statutes that you do require a quid pro quo exchange, not just an attempt influence. Now, attempts to influence, while I think they cannot be constitutionally prohibited bribery, they can be dealt with by other statutes. For instance, you could say no gift more than 50 bucks to a public official or to a judge, unless it's your spouse or your son or daughter. That would be a way to deal with an attempt to influence by giving a gift where there is no quid pro quo exchange. So there are ways of dealing with this issue by, for instance, gift statutes, where it would be constitutional, would be perfectly appropriate, as opposed to this scheme which makes giving a campaign contribution to a candidate/public official with your intent in your mind, or your hope in your mind, that that person will give you a favor, well, that would be called bribery under the statute, and that's unconstitutional. Wesley Hodges: Thank you, caller, for your question. Looks like we do have two more questions in the queue. Let's go ahead and move to our next caller. Caller 2: All right. Thank you very much for your comments. I had a couple of questions. 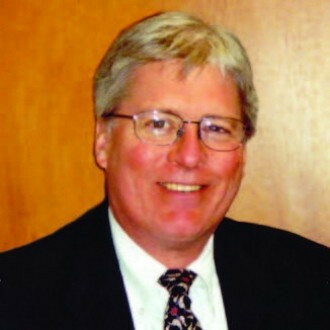 One, with the case of Mr. Suhl, it appeared that he was trying to influence a public official who had authority over the mental health industry in which he practices, basically complaining about the inequitable application of services and contracts under that program, that that official had some supervisory authority. And isn't that just free speech that we have a right to go talk to our public officials about the complaints or comments we have on the way that they take on their duties on behalf of the public? And then the second part of my question is do you know if the trial court or the appellate court found there was a quid pro quo by the public official, or if they made a ruling that said there was no quid pro quo? And the reason I ask that is I thought there was some reference in the opinions to a DHS report that was provided by the public official that also happened to be publicly available, but that he had provided it following one of the meetings. Thank you very much for your answer. James Bopp, Jr.: All right. Yes, and regarding your first question. Of course in our democratic system, in our representative democracy, it is generally accepted that it is perfectly appropriate for a citizen, for a business, for anyone, whether they're regulated or not, to talk to public officials about their situation. I mean, that goes from the homeowner who goes to the mayor and says, "Hey, you need to pave my street. We've got all these potholes." Well, that person could be a campaign contributor to the mayor, and of course, we would think in our representative democracy that citizens can go complain to public officials even if they're regulated by the government. And I would say particularly if they are regulated by the government, they should be able and we should be very accepting of the notion, that they ought to be able to go complain to the government or to raise their concerns, to discuss their concerns, and hope that they will be considered by the public official. Now, I say generally accepted because there are people that do not accept that. I mean, there are people that believe that our public officials ought to be plutonic guardians and never be influenced, consulted, or lobbied by citizens; that they ought to be in some ivory tower someplace and that they will make these fine, wonderful decisions based upon how brilliant they are, and they come from some elite college or something; that they'll make wonderful decisions. I mean, that's quite the opposite of a representative democracy. And so the presumption needs to be, and I think the courts by and large have understood this, that there's nothing illegitimate, there's nothing questionable, about citizens complaining about the government and how they're being regulated or taxed or whatever the case may be, there's nothing untoward about that. In fact, that is part and parcel of our ability to participate in our own self-government by talking to our representatives. Now, second, there's two key things that I saw in this case. One that the instructions to the jury did not require a quid pro quo exchange. They only required an attempt to influence. And secondly, there was no evidence of a quid pro quo exchange. There was no evidence of money being exchanged with the public official based upon an unambiguous agreement that the public official would accept the dinner and maybe fine wine in exchange for dong some official governmental act. There was no facts that established a quid pro quo exchange. If that had been required, he could not have been convicted. In fact, based on the record as I understand it, there would have been a directive verdict if that had been the requirement. But there wasn't. And so that's how we get to the Supreme Court. Wesley Hodges: Thank you very much for your question, caller. We do have two more questions in the queue. Let's go ahead and move to our next question. Caller 3: Mr. Bopp, did you read, by any chance, the government's response to the cert petition and I assume also your amicus in the case? James Bopp, Jr.: Not yet. Caller 3: I just wanted to note, then, that they say in there that quid pro quo is required. They acknowledge that. But then the say that intent to influence equals quid pro quo. It seems a little peculiar, don’t you think? James Bopp, Jr.: Well, yeah, and that's a word game. If that's what they said, then they're playing word games because -- and they're not accepting what I think is the well-understood definition of quid pro quo. They just have a broader definition of it as an attempt to influence. That is what the statute says, that they call that bribery, the statute calls it bribery, and that's what the statute says: attempt to influence. That is not with intent to influence; that is not what the Supreme Court in six, eight, or ten cases now has defined as a quid pro quo exchange. So they're just playing word games. Caller 3: Yeah. I find that also particularly concerning since the Solicitor General in private practice represented Mr. McDonnell, Governor McDonnell, in that case before the Supreme Court. Caller 3: Just as an aside. James Bopp, Jr.: [Laughter] Solicitors don’t always write their briefs, and of course I know what you're saying, but they don’t always write them either. Caller 3: No, I understand. It's a different job. But thank you. James Bopp, Jr.: You're welcome. Wesley Hodges: Let's go ahead and move to our next caller. Caller 4: Yes, thank you. I just wanted to ask a question that was for clarification purposes. From my understanding of following the case, the government official, Steve Jones, was one of the two deputy directors in Arkansas, and they have ten departments that were split between these two deputy directors. The one that was accused in this trial, in this case, was not over the Medicaid program or the DHS program that involved Suhl's businesses. So I don't really even understand what he could influence. And the deputy director who was in the trial got up and said that there was nothing that Steve Jones would have been able to do. So I'm just trying to understand that point. James Bopp, Jr.: Well, that's a fact I didn't know, and that's very interesting. That was not -- if you look at the Eighth Circuit decision, they certainly did not make that distinction clear. And, yeah, that makes his agreement to, quote, "look into something," of a different kind, doesn't it? I mean, he can look into it, but he can't make any decision about it. He would have to, I suppose, lobby the people that aren't under his authority and his co-deputy director and have to lobby him or her about that issue. That is perplexing. Wesley Hodges: Thank you, caller, for that question. Seeing no immediate questions, Jim, thank you very much for your remarks. Do you have any closing thoughts for us today? James Bopp, Jr.: No, I think I've covered everything. Thank you, Wes, for having me on. And thank you for the listeners and callers. Wesley Hodges: Of course. Well, on behalf of The Federalist Society, I would like to thank you for the benefit of your valuable time and expertise today. We welcome all listener feedback at info@fedsoc.org. Thank you all for joining us. The call is now adjourned.